This is an age of Smartphones and Tablets. Users are engrossed in their small screens all throughout the day. Whether it is online shopping, communication in the social media or any other web browsing, users prefer small screen to big ones because small screens are portable and much easier to use. Therefore, web developers have to keep in mind responsive web designs before they develop any website. Providers no longer want web designs that are not responsive on small screens of Tablets or Smartphones as this might not serve their purpose. • The images are made flexible so that they can easily adjust or resize according to the size of the viewer’s screen. • The grids are granted with fluid or liquid layouts so that all elements in the website resize with respect to one another. • Media query is an essential component of responsive web design as it helps to check the capability of the device in terms of height and width of viewpoint. It grants different style rules for different kinds of devices. Web designs for small screens are more in demand as they account for the majority of traffic for any particular website. Therefore, reaching out to audience using small size devices has become the need of the hour. Hence, mobile responsive web design becomes very essential, as users have to be given ultimate satisfaction while they browse through small screen devices. Distorted images or texts can spoil the reputation of a website. A mobile responsive web design always finds its place high up in the search engine. A mobile responsive web design is guarantee to the fact that that the website has a single set of hyperlink. That means that time spent on maintaining the website reduces and as such the reputation of the website enhances manifold. This helps to secure its position among the top rated websites. Google also recommends these websites. As and when the provider has to manage a single site for both large screen users and small screen users, the money spent on management of the site reduces. A single administrative interface is required to be maintained. Thus on the part of the provider it is a huge saving. A responsive web design caters to all the needs of the different kinds of users. The user experience is also heightened because no scrolling or resizing is needed by user to access the websites irrespective of the size of the device that they use. Moreover, web_page loading takes much less time in a mobile responsive web design that further enhances user experience. A mobile responsive web design helps the provider to easily gather information about important monitoring aspects like – from where the traffic to their website comes from, what is the reaction of the users to their website etc. in a combined manner. A single report does the work of monitoring and so the process of preparing analytical reports gets simplified. Mobile responsive web design has set a new trend in the world of web development. All the major web designing companies recommend mobile responsive web designs to their customers. This entry was posted in Website Design and tagged Responsive Web Design, Web Development on May 31, 2017 by Sarah Smith. The world of internet has come a long way since its initial days when a basic knowledge in HTML and web page layout was enough to get one started. If you wish to venture into the domain of web development in Sydney, you need to consider a lot of factor like interface design, graphic design, user experience and back end coding. However if you are planning to carve out a career in the domain of web design in Sydney, you should stay updated with the following technologies mentioned below in order to stay ahead in the rat race. If you are looking to hire professionals who specialise in web design in Sydney www.webdesigncity.com.au can offer you the perfect solution. Angular.js is a powerful web development technology which has rapidly become very popular among people seeking to learn web development Sydney. It is a modern cross-platform front-end framework this provides additional features and capabilities like robust support for mobile development and easy objects orientation. JQuery is a technology which is used for mobile development and has tremendous scope in terms of career growth. This technology allows mobile developers to develop cross platform mobile applications which would run on various devices like tablets and Smartphone’s. The technology supports various mobile operating systems like Windows, Android and iOS. This technology of PHP cake Framework is meant for web design in Sydney aspirants who wants to learn the technique of building modern web applications using PHP. The PHP cake Framework is an advanced open source PHP Framework which provides numerous features such as form validation, XSS prevention, scaffolding, CSRF protection and code generation. Data visualization is an important aspect of modern business which allows presentation of data through interactive visual elements such as Pie Charts, statistical diagrams and bar charts. The main purpose of data visualisation is to help the business owners to present complex data in an easy to understand manner. Laravel Framework in PHP is one of the most popular and Powerful open source PHP Framework in the market which every person working in the domain of web design in Sydney should be aware of. It is packed with some useful features such as object relational mapping, queue library, routing and authentication. www.webdesigncity.com.au is company who specializes in web development in Sydney. Here you can find a solution to all your requirements pertaining to web development, mobile apps, SEO and website design all under the same roof. This entry was posted in Website Design and tagged angular js, jquery, php cake, Web Development on April 19, 2017 by Sarah Smith. Any wed design company Sydney will first need to know the client and its requirement. While it is possible to do the web development yourself, trusting the best in the market is the best thing to do for better performance in the long run. Step 1:Know your product and your idea: It is very important to know the product and the users of the product before starting the process of website design. This will give you a clear view of what your website shall look like and what your users will ask for in order to get the product of their choice. Step 2: Sketch your framework: You have to sketch the framework that will help you make the website function better. It is not quite simple but not difficult too. You can make a sketch on a paper and develop the website accordingly. You can also provide the sketch to the web design company Sydney. Step 3: Choose color and font: This is also quite important to understand the color that suits the idea of the website. You can also take expert advice for the same. The font also is an important characteristic for the website design. How big or how small they can be will solely depend on your judgement. Step 4: Pay attention to the details: You have to imagine how the website will look like when it is finally done. You have to understand how the layout will finally look and animations and background will sink properly or not. There can be many more details depending on the type of website you are making. Step 5: Use the right tools: Building a website is solely dependent on using the right tools. Website builders of different kinds are available on the web and you can take membership of any company in order to make it happen. Website building is a difficult job and that is the reason why you shall trust a good web development company to carry out the work. This entry was posted in Website Design and tagged build website, building a website, website design on April 7, 2017 by Sarah Smith. Why is it important to have a mobile friendly website design? The need of Web Development Company Sydney has increased several folds in the last few years with more and more companies investing in internet business than ever before. With the increasing reach of smartphone, it has become more obvious that people will browse websites using their phone and not their computer. This has started a new trend in market of website design services, that is to have websites that are mobile friendly and easy to operate from mobile. 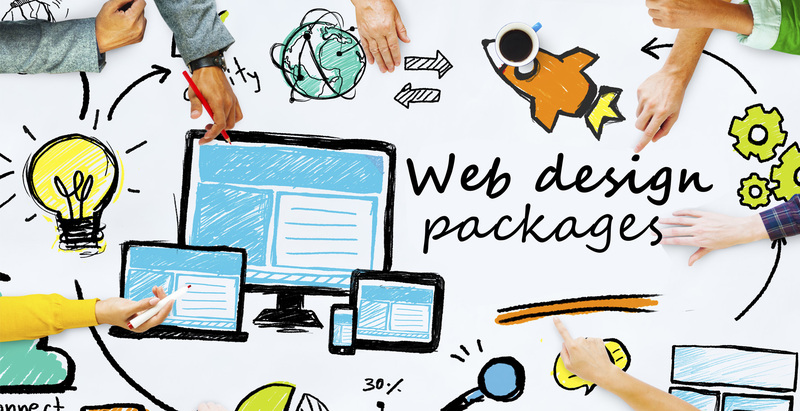 We at http://www.websitedesignsydney.org.au take care of the requirement and deliver according to the need of the customers. Why is it important to have a mobile friendly web design? More use of mobile: Today, most of the people spend less time on computer and more time on mobile. The smartphones are equipped with systems that will help them browse all sorts of websites easily. Purchasing is done through apps, movie tickets can be booked online, bills can be paid and the bank account can also be managed through the mobile. In such a scenario, if you don’t have a website that loads easily on the mobile with all options being accessible, you will be falling short in the competition. Google support: Google ranks websites better with mobile friendly version compared to ones that are not. It may cost you a bit more to have such a website but it is worth investing in if you want your business to sustain in the long run. With changing pattern of google ranking these websites are becoming more and more popular. In future, Google may even penalize websites which are not mobile friendly in nature. Websites that are not mobile friendly may cause problem for the smartphone users and the web development company shall keep in mind that google provide apps for the android smartphones. Loss of business: Mobile friendly website means more business. Even if one does not have a laptop or desktop at home, he always has a mobile with internet connection. Many are ditching the big box for the compact surfing device on the palm. It is thus very important to go with the flow and have such a website designed by website design services in your city. Composition: The composition of the website is such that all important information is fit into a smaller space and user will not miss out the information as well as the navigation buttons of the website. Smartphone space is enough: The smartphones are currently increasing in size but they are not as big as laptop screen. You may feel that the screen size is not enough to fit the page but they really are. Phones with bigger screen size will make things more convenient to view. The Web Development Company Sydney, WEB DESIGN CITY has the best brains in market to make the web business success. This entry was posted in Website Design and tagged mobile friendly website design, Web Design Company Sydney on March 30, 2017 by Sarah Smith. Web Design Sydney can be found in every corner of Sydney these days most of them calling them the number one. It can be really difficult for the website owner to choose a company that is really the best and just don’t brag. We, at web design city, believe in fair play and thus we bring you the criteria to find the right web design company. You can verify us on the criteria and then only give us the opportunity to work for you. How to choose the best web design company? Understand your need: If this is the first time you are into web business, it is important to understand your goal as a whole and at the same time your customers and their choice. You can do a research on the competitor websites and you will know what they are doing to attract their customers. If you are sure about what you need, you will be able to convey your thought to the company and they will be able to provide you result. Have a realistic expectation: Website design does not get ready in a day or two. It may take a lot of time for the website to be ready and the website design company shall be able to tell you about the time frame. It may take time for the website performs and finding more traffic has other factors apart from website design. Improve brand awareness and also have communication with your customers to make the website perform better. The website design Company shall be able to guide you in this direction. Check the portfolio of the company: The Company that you are choosing for designing your website shall be aware of the market. You need to check their previous work as that would give you an idea about their strong points. As for the portfolio of the company or ask them for the websites that they have built earlier. Communication holds the key: The website design company that you are choosing shall be easy to contact as per your requirement. A company with good customer support team that can be contacted online or through phone will be the best choice. Check if the company has a proper address which can be tracked down as per your requirement. Blogging and content: The content of the website is as important as its design. You shall hire a company that knows the importance of content and should be able to provide you writers who are good at their work. At the same time the SEO needs have to be fulfilled. This entry was posted in Website Design and tagged best web design company, best web design service on March 24, 2017 by Sarah Smith. Millions of websites have almost crowded the web world these days and no matter what business you are in, you will have thousands of competitors promoting the same product. Being on internet is the best thing that you can do for your business with more people visiting websites for contact, product description or reference. In such a scenario it is important to have a website that is different from other websites in the industry and that can be made possible by a good website designer. While there are several factors responsible for making a website look good, there are some factors that make it stand out and webdesigncity.com.au knows how to use them. • Minimal loading time: Nobody has time to spare these days and having a website that takes less time to load is a boon. This assures that the viewer will not go out of it without looking at the product. Flash player may sound lucrative but it is not going to make things faster. Software that doesn’t load on most systems is a strict no for the website. You will lose out of customers. • Colour Scheme: The colours you choose for your website along with the theme have a lot to say about your company and the product. While some colours may look vibrant, they may not do justice to the taste of the target group of customers. If you are running a NGO or professional website for pet adoption you cannot have a theme that is vibrant and colourful. Similarly, if you are selling baby products, black or simple white is not the colour to go with. Web Design City dealing in Website Design Sydney has great sense of the same. • Navigation: The first page of the website or the home page has a lot to do with the performance of the website. The viewer shall be able to find the places to go and the navigation shall be easy to follow. All important buttons should be highlighted and shall be placed where it is easy to locate. This makes it easy to navigate and find the actual product. • Purpose should be clear: You need to know what your users want. If your users are looking for information, the website can be as informative as possible. Keep the language simple and at the same time, SEO friendly. The pages shall have the clear perspective and should be designed accordingly by the website designer. • Follow F Pattern: Most of the successful website follows F pattern which says people notice the words written in the left more than the words written in the right. So the important information and the buttons shall be either on the left or middle or top of the website as that would be noticed. Keep the right side for advertisement or not so important stuffs. You can eventually think of many more factors to make the website design Sydney stand out but these are the most important of them all. This entry was posted in Website Design and tagged best web design sydney, cheap web design, website design on March 21, 2017 by Sarah Smith. At this age of internet, nothing is impossible to find; no matter which part of the world you are from. To grab such a huge opportunity to grow business, every company is now equipped with a functional website of their own. If you have a webpage, then surely you want it to be the best among the hundred other webpages from your competitors. 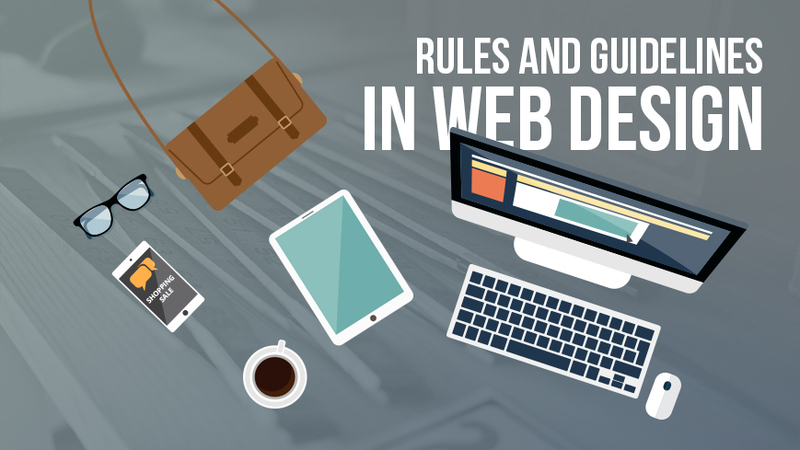 There is certainly no magic pill to create a great yet lucid website that everyone will love to visit again and again but with these easy-to-follow web designing tips you can have one. Make the Design Clean and Clutter-Free: Like rest of the world, web is also getting messy with tons of advertisement, video clips, images, links and pop-ups. All these make your webpage extremely cluttered and also confuse users like where to concentrate. Give your visitors a break from this clutter and mess. Professional web design services know well how to make a simple yet effective design for your website by keeping only essential elements and discarding the rest. Make Use of Intuitive Navigation: All webpages consist of navigation options. Try to keep primary navigation options placed in a horizontal menu bar along top of the website. Secondary navigation options should come underneath the primary bar. It is also wise to place the secondary navigation options in the left-side margin of the webpage layout. Any website design Sydney Company is capable of designing a webpage without using any puzzling navigation format. Confusing navigation actually makes people to quit the page rather than to figure it out. 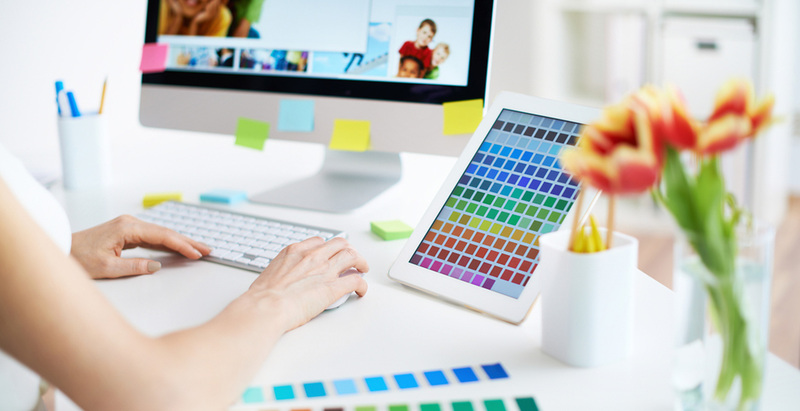 Strategic Use of Colours: Professional web design services believe in keeping the colour more or less neutral. Try to use loads of neutral shades in your webpage design to give it a bright, classy, clean and modern layout. It is recommended to use some flashy colours just to highlight headlines or key graphics. Remember the Basic Rule of Visual Hierarchy: Human eyes are more conditioned to see things in a specific manner. Human eyes pay attention to things in a certain pattern. We read top to bottom and left to right. Following this pattern, most website design Sydney firms will put the important navigation buttons like “Sign Up” and “Follow” on the left-hand upper corner of the webpage. This not just makes specific button more visible to users but also improves your chances to get more followers or sign ups. Put Easy-To-Read Texts: Text is a primary weapon to impress the visitors. Therefore, web design services always use easy-to-read and simple texts on your website devoid of any dual meaning and ambiguity. Also don’t choose a font size which is too small to read, making things disappear from the page. This entry was posted in Website Design and tagged good web design, web design, web design sydney company on March 16, 2017 by Sarah Smith. With the advent of internet, the whole world is the playground for every small and big business house. If you are also one of them, then you must be well equipped with a website which will mark your presence in the web world. To make your brand’s presence a successful venture, you need to hire a professional web designer Sydney. With so many web designing firms, it might be little confusing for you to focus on the right one. We are going to help you to select the right web designer with the following easy-to-follow tips. Do Your Research Work: Web designing might not be your cup of tea but you can at least get some basic knowledge on the subject by asking your friends, colleagues and searching the internet. Having the basic idea on web design is surely going to help you to make your search for web design Sydney easy and effortless. You can trust the Sydney Website Design for their undisputed service standard and professionalism. Check out the Portfolio of the Web Designer: You should always check the web designers Sydney portfolio before making your final decision. This practice will allow you to take a deep look at the previous works of the web designers which in turn help you to know whether the designer can visualize your thoughts and make a website reflecting all essential components to assist in growth of your business. Talented and professional web designers from WebDesignCity understand your taste and work accordingly to match that. Search Engine Optimisation: The primary goal of every online website is to generate more and more traffic for you. In order to reach millions of potential customers or clients, your website has to be listed on the first page of the search results. Search Engine Optimisation (SEO) is something that can only be achieved by hiring a professional web designer as he/she knows the tricks to push you further towards your goal. No amateur can do this SEO job for you. Maintenance Service: It is not just sufficient to have a proper website for your business. You also have to maintain the website by making time to time changes and revisions whenever it is required. While looking for a website design Company in Sydney, you should choose the one which offers impeccable web designing service along with round-the-clock maintenance service. Cost: Like any other service, you will be charged for the web designing service too. Be careful while deciding on the pricing. Too much low-cost web designer may cause more expenditure to be made in some other way. At www.webdesigncity.com.au you will get outstanding web solutions in affordable price. This entry was posted in Website Design and tagged Hiring a Website Designer, Website Designer Sydney on March 9, 2017 by Sarah Smith. While investing in online business, the organization has to be proficient about two things, a proper website design and the right marketing technique. Believe it or not, these two factors are inter-related and a mistake in the website design may have an impact on the SEO and marketing of the company. It is thus quite essential to choose the right website designer who will have the insight to the whole thing and will be able to deliver as per the requirement of the client. There are factors that can harm the SEO and if you can avoid the same, you can be rest assured about the website. Infinite Scrolling: You must have come across websites where a page has infinite scrolling option without anything to display. Scrolling is good for many website but not for all. However, grouped content makes more sense and websites with infinite scrolling often confuse the user about what to expect next. Make sure that scrolling is a requirement and stay away from it if you are not sure. Lack of mobile compatibility: Most of the people use internet and related services through their smartphone. It is utmost important to make the website mobile friendly as that would have an impact on your traffic and SEO. The browser support is different from mobile from that of computer and that is where the mobile compatibility comes into picture. Using Tables: While in many case tables may provide a collective view of the overall data, it may also make the website look complicated. The web design with tables doesn’t look good enough for the person viewing the website. Try to avoid the tables and go with a cleaner look for the website. Choosing complex web design: There are many Website Design companies that will tell you to choose a design with loaded flash player. Static website design is simple but they are easy to load. The people coming to the website will have less loading time. In many cases, people leave the page because it takes a lot of time to wait. While flash may make a web page look good it would not make much sense if you are concentrating on SEO. Parallax Scrolling: There is no issue as far as impact of parallax scrolling is concerned. However, if you are using such a scrolling for your website, you will have lower SEO ranking for the search engines. The web pages with such scrolling and images take longer time to load too. A Sydney website design company has the proper knowledge about the things that can have negative impact on the SEO. The website designers must be well aware of the SEO needs of the company in order to provide the right solution to the client. This entry was posted in Website Design and tagged seo, web designs on March 6, 2017 by Sarah Smith. The first thing that customers notice about your company is your website. And in case it fails to impress them, they simply switch over to another provider. Hence, your company website holds a great significance as it reflects the image of your brand. This is the reason why entrepreneurs pay special attention while hiring a website designer. There are many benefits that you can enjoy by hiring professionals at www.webdesigncity.com.au . This is because our trained web designers are well aware about the latest trends of web design. We can be your ultimate one stop for all web design related solutions. We believe that visual appeal really matters and hence the websites designed by our website designers reflect a credible and highly professional appearance. We know how to select the right combination of colours so that the website can grab the viewer’s attention. We also focus on the text that has to be present on the website. Proper placement of text is important in order to give the website an organized and uncluttered look. We also make sure to make your website user-friendly. As far as new and latest technologies are concerned, we are unbeatable. We are well acquainted with innovative techniques and technologies that help us in crafting most effective website designing. Outdated technology when used in crafting websites, fails to catch the fancy of new customers. Even for maintaining the customer base, you need a magnetic website. We know how to incorporate important links, images, videos and RSS feed into your website so that you get the maximum benefits. In fact, we keep pace with technology to stay up-to-date. This entry was posted in Website Design and tagged importance of web design, Website Designers Surry Hills on February 10, 2017 by Sarah Smith. Website designing is an essential part of a good website development services. We will provide you with the best Web Design services which will defiantly lead your business towards growth of success. Web design will help you to develop & get the first rank on Google & that will directly leads to the growth of your business. www.webdesigncity.com.au is available to guide you to the right direction & will help you to the best possible way. The different areas of web designs include – web graphic design, interface design, user experience design & much more. The term web design is usually used to describe the design process of a website. People ignore the design that ignores people so creating a good website is a key to success & growth. • We focus on each website designing aspect either it may its colour, contrast, flexibility, uniformity, layout & much more aspects. • We especially work for the Objective perspective of the company. • We also maintain the Consistent brand loyalty of our customer businesses. • Our web design offer you with unique & ongoing layouts that perfectly match your organization theme. • We also offer you with the affordable services with the best quality. • The websites we designs offer you with the user oriented navigation. We have a brilliant team of web designers Sydney, Australia who considered each important aspect of designing before the end product is delivered. A website designer is a person who prepares the content for the web. This role is especially related to the designing & layout of web pages with content, which usually includes text & images. Being the best web designing company in Sydney, we provide you with the affordable but with the best quality services. We deliver the quality web designing services to render amazing view to our customers. This entry was posted in Website Design and tagged Sydney Web Design, web design australia, website design services in sydney on February 3, 2017 by Sarah Smith. The ongoing battle between being a freelancer and working for a company is never ending; in this article, we have highlighted the pros and cons of being a freelancer or working for a company. Website Designers who work as freelancers have the ability to work on projects that they want to and say no for the one is that they do not wish to take up. They also can set their working time since they are not restricted to the standard office timings. While working as a freelancer may be helpful, it can also be challenging. On the other hand, working with a Sydney Website Design company has its own sets of benefits. While on one side you know that, your income is set. The other side to the coin is that you cannot decide on the projects that you would like to opt for. The growing demand for Website Designers who are well versed with various platforms has become one of the biggest challenges to fill. One of the main reasons behind this is the want for people who are experienced and have been in the industry for a long time. With fresh and raw talent waiting to be explored, the best option for them to get into a Sydney Website Design firm is either by working as an intern or even under a senior person. However, for those who want to out on their own, they have to cross many obstacles to make a mark of their own. Website Designers who work as freelancers often have the liberty and benefit to choose the project that they want to work on, however, the constant supply of work is purely depended on the number of projects they take on. On the other hand, when a designer works with a Sydney Website Design company, the challenge of getting in work is taken care of, however, it is restricted only to the project that has come on board. In such cases, the ability to take on a variety often is left at the hands of the decision maker. Even if you talk about the charges of Website Designers, a freelancer decides the worth of his work and time. This is beneficial in one way since they are paid the amount that they have set, however, with companies and individuals who are working for less, it can often become hectic and frustrating. In the case of a website designer working with a company that is into Sydney Website Design services, this is not the case. This is because the amount is fixed and the designer knows for sure that this particular amount will come into their pockets at the end of the day. If you want a smart and stunning website for your business, you can contact www.webdesigncity.com.au for a consultation and quote. This entry was posted in Website Design and tagged australia, sydney, webdesign on January 30, 2017 by Sarah Smith. Companies know and understand that your online presence is important for your business. The professional team of website developers can come up with a website that is perfect for your company. The skills and technical knowledge will get your website up and running in no time. E-Commerce has become one of the most popular kinds of websites that are known today. For those who are planning to start up an E-Commerce business, you can sit back and focus on other things knowing that your website is being designed under a professional team. Directory websites have proved to be beneficial in a lot of ways, today this has become one of the easiest options that caters not just for people but for businesses also. Designers can build a directory website pertaining to a particular industry or topic as well as for a particular area. For people who are looking for a company to remodel or make certain changes on their present website, you can just let us know what you are looking for and leave the rest to us. Professional website designers will make sure that your website will be exactly the way you want it. The use of mobile websites is gaining popularity and it is important that your website should be designed in such a way that even if it accessed through the mobile phone, it will not take too much of time to upload. If you are looking to develop a website that is just for you and your loved ones, you can let the company know what exactly you want. 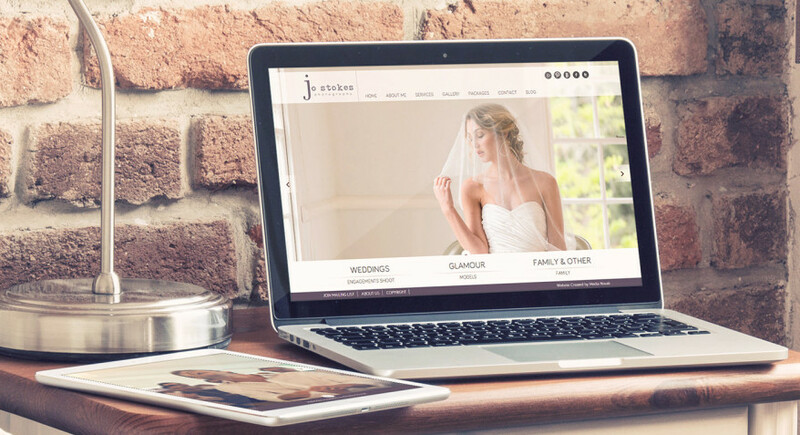 These websites can be on temporary basis such as a temporary website for letting people know about wedding to even a permanent one, which includes uploading your own work as a freelancer. Many websites deal with different kinds of information. The uniqueness of such websites is the fact that members are allowed to contribute as well as make changes to the information that they are providing. This is why a lot of care has to be taken while designing such websites. Website Design – If you are a company that deals with all the latest changes and gossips in town, it is important that the website you have in place should have all the relevant sections to go along with it. The websites designed by development companies will ensure that every section is taken care of so that you can give the best to your readers. This entry was posted in Web design sydney, Website Design and tagged seo and web design on January 13, 2017 by Sarah Smith. Majority of the business professionals today are interested in launching an eStore as eCommerce is an in thing. In such cases, what they need the most is an expert eCommerce website developer. Hiring the right developer, you can ensure that your eStore will achieve success very easily. But, numerous eCommerce website developers are already there in the market and in a situation like, choosing the best one is a tough job. However, once you proceed to Web Design City, you can remain sure to get help from the best Website Developers Sydney. We will arrange for a counseling session with the developer before you finally hire him and the expert professional will answer and clear out all your queries and doubts. Before hiring a web developer, it is very important to know how many years of experience; he has in the field of eCommerce Web Development Sydney. You must not get carried away by the techy languages uttered by the developer. Rather, you should ask him about his real life experiences of handling eCommerce projects. Our developers will never puzzle you with techy terms. Rather, we will devote our time to show you the design, features and user experience of our previous eCommerce websites. To get a great eCommerce store designed only for you, all you need to do is give us a basic idea of how you want your store to look. The next issue that you must know before hiring Website Developers Sydney is the software that they will be using to build your ecommerce store. Numerous options are available as far as choosing an eCommerce platform is concerned. Make sure that the developer, you hire uses a platform that has easy to manage, powerful and intuitive features. When you are working with us, you can remain sure that our web developers will choose the most responsive software for building your eCommerce store. The next important step in eCommerce Web Development Sydney is to understand how you and your customers will communicate. The project will be a grand success if effective communication is ensured. To make the same happen, your presence during the development process is equally important. Our expert team of Website Developers Sydney will put forth their best efforts to make your eCommerce project a grand success, but with your constant help. So, what are you waiting for? If your plan is to build a super successful eCommerce platform, study the basics of eCommerce Website Development Sydney and contact Web Design City today with your specific requirements. This entry was posted in Website Design and tagged Website Developer, Website Development Company Sydney on December 27, 2016 by Sarah Smith. Web Design is an essential component, when one chooses to set up a business whether huge or little. This is the key element required to establish your online presence where you will be able to advertise your products and services. You can provide any service under the sun depending on what you want and what you can offer. As you need a high spending plan to make the above thing possible, try to hire a company offering Affordable Web Design services. This is primarily because you cannot afford to spend too much money on putting your business than starting the actual business process. Numerous companies are there that offer web design services, but the problem is not all of them offer affordable services. However, there are some companies who charge only for whatever service they are offering keeping at sorts hidden costs at bay. This is exactly what you can expect from Web Design City who is a Sydney Web Design company. Here you can get Affordable Web Design services and we excel in offering excellent design frameworks that are of the best quality. We practice offering you out of the box web design service that is ad per with any other premium web design service providers. Sometimes our services are even better than any expensive web design service provider. What makes us stand out is we do not claim any extra money for offering high quality work. Another factor that makes any Affordable Web Design service provider stand out among the others is that they are well aware about what they are doing. Moreover, they will also be able to guide you choose what will suit best for your business. They are also well aware of the fact that you are designing your website for the first time and this is the reason, you cannot afford to let it go wrong. So, they will never let you regret your first attempt and redesign a fully functional website. It is the same practice that is followed by Web Design City; a Sydney based Web Design Company. Offering quality service is our forte as we know what you want to put forth in your website to gain more online customers. The design we offer will not be an amateurish one as we know that this is harmful for your website. So, waste no more time and search for a company offering affordable web design services. Make sure that their work is up to the mark and offers a good navigation system to your website. This entry was posted in Website Design and tagged web design company, web design service on December 12, 2016 by Sarah Smith.